我希望把我的顶印象 10 neighborhoods in one of the best cities of the world; 里斯本, 葡萄牙! 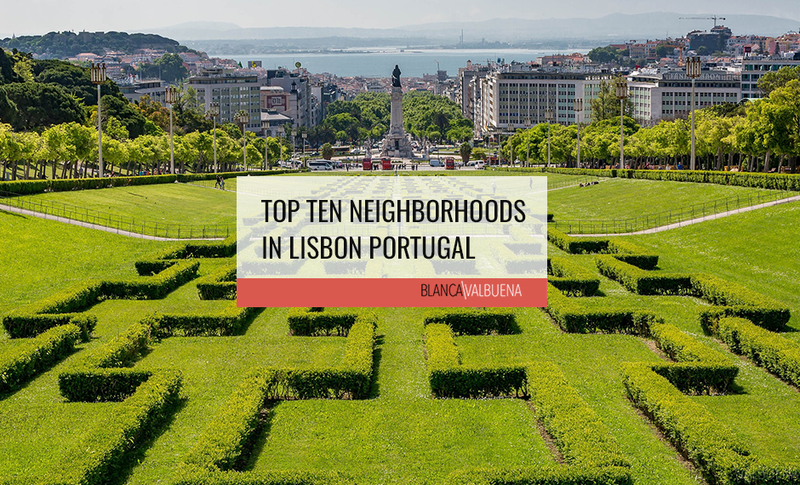 I have had the pleasure of staying in most of these neighborhoods in Lisbon. 对于那些我还没有住了一个多月, 我曾问当地的朋友给我自己的经验和意见. 如果您有任何建议，请随时把他们的意见. 是什么感觉: This neighborhood is characterized by tiny streets, 法多之声, 和令人惊叹的美景. 这是一个里斯本最古老的街区，它显示了. 当你走动, 您将在街道的迷宫丢失, 而这正是让他与众不同. 不幸, 与此魅力已走过了大型旅游猛攻. 邻里是根据你在山有多高划分. The top of the hill near the castle (卡斯特洛圣乔治) is Graça. 下降的河流，你会发现阿尔法玛. 有一堆的酒吧和餐馆不大. 尽管该地区有便宜的声誉, 价格已经飙升以来，游船在河边的那部分码头. WHO住在这里: This was originally (and still is) a working class neighborhood. Outsiders tend to be looked down upon until you “get in” with the community. 我的一个同事住在附近了几年，并告诉我，当她第一次在她的车被移动破碎成不断. She (luckily) was talking to an older pensioner one day who told her just to put an orange sash in her window. 这就要求对可能的窃贼，她是从该地区. 她再也没有过的问题. PROS: Small with a view of the river. Has a very “neighborhoody” feel that can make you fall in love with it quickly. 这是法多的家庭, 所以你要听音乐不断被传唱. 成本方面, 价格比在帖子中提到最街区更实惠. 大部分新装修的公寓看起来可怕从外面, 但一旦你走进去，你会被这些隐藏的宝石来相当深刻的印象. 缺点: Don’t drive! If you do not know how to navigate in streets 3 米宽你不会喜欢这个地区. 也, 停车场可以是一个噩梦. 白天, 该地区期间被游客溢出，因为游船码头附近的阿法玛. 笃笃车手带来新的访客进入阿尔法玛向他们展示法多和城市的历史. 这很烦人的真快. 租金最近波动, 所以你会看到很多的公寓已经转向Airbnbs或旅游线路. 这是一个加号和减号，因为你会得到更多的国际意识地主, 但价格已经因为它的跃升. Oh…good luck finding a lift (elevator) in a building. 公寓的地段有美丽的景色会 4-5 店内走了. It’s rough but you getusede to it after a few months…errr…years. 是什么感觉: I would describe it like the Upper East + 上西城我的朋友纽约. 还有更多的上层中产阶级和上层阶级的人, and this area has that great feel of park (the very large and beautiful 公园爱德华七世的 marks this neighborhood) and city life. 一些最令人惊叹的建筑都可以在这里找到进行大规模的渠道一起. 如果你在巴黎度过的时间区域可能会觉得熟悉, 但沿着两侧有些大的地方有白天流量太大. WHO住在这里: It’s mix of some wealthy families and middle class. 你不会看到领取养老金/退休人员在这里. 你不会看到许多家庭在这里是因为成本, 如果你这样做，你就会知道他们是有钱人. PROS: Most of the apartments are quite spacious. 良好的购物和交通设施. 缺点: Pollution because of the cars. 每场大道有这么多的流量这是荒谬的. 白天，您会打青蛙在街上，因为车的量. 公寓是大，但相当昂贵. 是什么感觉: I would describe this as the East Village of Lisbon. 大家谁住在这里或者是一些艺术家, 诗人, DJ或领取养老金谁也离不开谁. 到了晚上，附近开始活跃, 但不是像正常的活着我说活死人活着夜. 醉酒的人将填补街头. 时，有一个节日或假日它将被填充有英国, 西班牙和美国游客试图让自己喝的. You will see many foreign men trying to mac it to the local ladies – this is a futile effort. 来自葡萄牙的妇女往往是保守的，并不会降你的技巧家伙. You do not want to live on any street where there is a pub (this means most of the neighborhood). 如果你这样做, 你会睡不着. 如果你喜欢这种类型的氛围, 但不希望在它的心脏, 撒气在圣卡塔琳娜州或Brica社区. 它们是相邻的，仍然到的Bairro Alto交通十分便利. PROS: Wanna party? 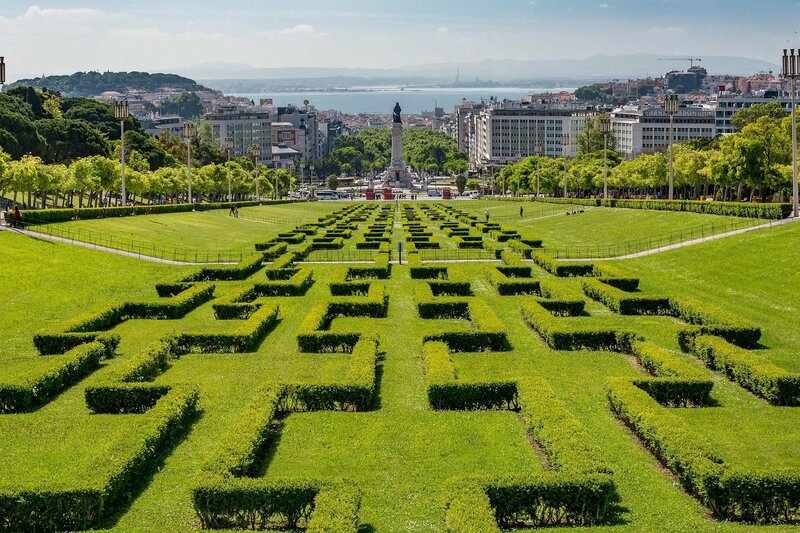 Need to be right in the middle of Lisboa/Lisbon’s downtown district. 想要有 50 不同的酒吧和餐馆可供选择. Are you young and single and looking to hook up? If that you this is your area. 缺点: Old buildings and really too much partying. I took an apartment on a “quiet” street for 3-weeks. 这是老, 需要大量的整修和有可怕的窗户, 所以感冒了真快. 最糟糕的是，我无法入睡了3个星期，因为噪音无法忍受. 我每天醒来的时候跑步，街道上满塑料杯无处不在, 醉酒一半的英国人睡在门面和偶尔呕吐. 这是一个特殊的3周. 是什么感觉: This is more like Midtown Manhattan. 没有人真正住在这里, 但你有很多购物, 餐馆和人看. 这也是最吸引旅客的街区，因为它确实是市中心. WHO住在这里: No one I know anymore because it has lots of foot traffic. 我几乎住在该地区的公寓，但做了谷歌地图之后走直通，我看到它是挤满了人. 我最近的地区经常光顾证实了我的怀疑. 如果你留在这儿, you can find large apartments (up to 3 bedrooms) and very modern. PROS: I am a walker. 如果你是一个学步车，你会喜欢这个地方. 这是很容易步行从这里去市区任何东西. 是的，你可能不得不走了几个山头，但这是里斯本/里斯本, 所以这样的话全城. 缺点: No real local Portuguese live here, 只是银行和旅游的东西. 当高发季节结束该地区变成一座空城. 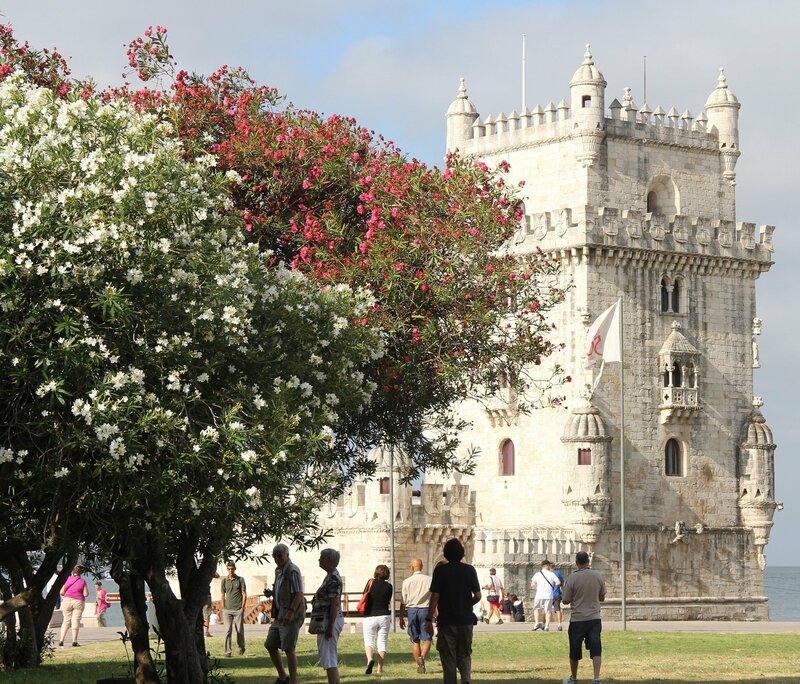 是什么感觉: Belém is a charming area at the outskirts of Lisboa/Lisbon. 它充满了老房子是不是在埃斯托利尔或Caiscas海滩-Y区. 有博物馆的负荷, 纪念碑和东西看. The MAAT museum is in the neighborhood which is worth a visit just for it’s amazing architecture (as of right now it is quite sparse in art). 三要好得多博物馆还有的博物馆Coleção 贝拉多 它有现代艺术和没有拥挤的人群中一个令人难以置信的集合, 全国 考古博物馆, and the Mosteiro dos Jerónimos which is absolutely spectacular (but so crowded). 此外侧翼区周边LX厂一个新的时髦区. 该地区是半适合步行到Restelo和阿茹达, 但不是最宜人的步行. From Belem you need to either take an Uber or taxi or take the train (very cheap) and you can be in Santos in 10 分钟. WHO住在这里: The area has sprinkles of low-middle class residents in both Belém and Ajuda. 我更富有的朋友都挖出贝伦美好家园和社区Restelo. 当我参观了他们的家园，我非常震惊，他们怎么都好看. 巨大的花园, 安静的区域, 大于您在里斯本得到正确. PROS: Belem is really quiet area during evenings when tourist leave. 如果你现在买，你可以得到一个良好的价值. 缺点: A little bit away from most stuff downtown. 火车可拍摄约 20 minutes (10 to Santos, 20 to Baixa) and doesn’t run 24-hours. 如果你是尤伯杯, 是关于 10 分钟，也许 7-8 欧元. 是什么感觉: It’s a community places at the northwest of the city. 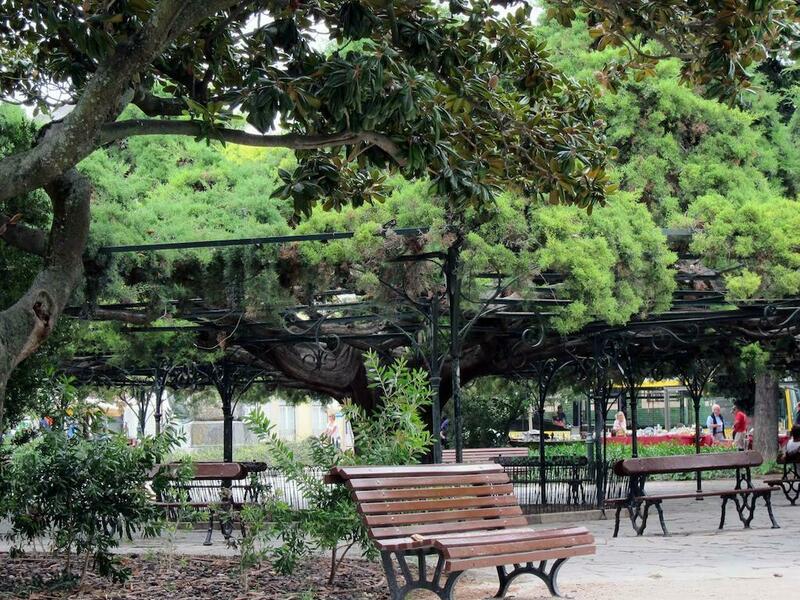 Campo de Ourique feels like Park Slope in Brooklyn; tree-lined streets, 当地人将他们的日子, 与孩子和狗的家庭. 坎波欧里克是热闹的住宅区. WHO住在这里: Lots of my wealthier friends live in this area because you can get a larger apartment. 这不是一个巨大的养老金领取者/退休人员社区, 但你会遇到一些. 我经历了很多年轻家庭的面积试图从市中心的噪音脱身. PROS: Very town-y feel. 你会了解你的邻居和地区. 可爱的小商店在当地很多. 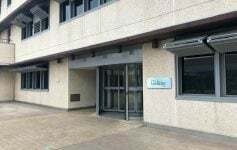 良好的市场在该地区和许多超市. 这也是公路那么容易得到和出城附近. 缺点: You have to walk downhill and back uphill (a while) or take a tram down to main part of the city. 最好是有车在这方面，但小心路边停车. My friend who has a classic Mercedes from the 1970’s won’t ever move his car because of fear of having to “hunt” for a space. 是什么感觉: This is the SoHo of Lisbon. 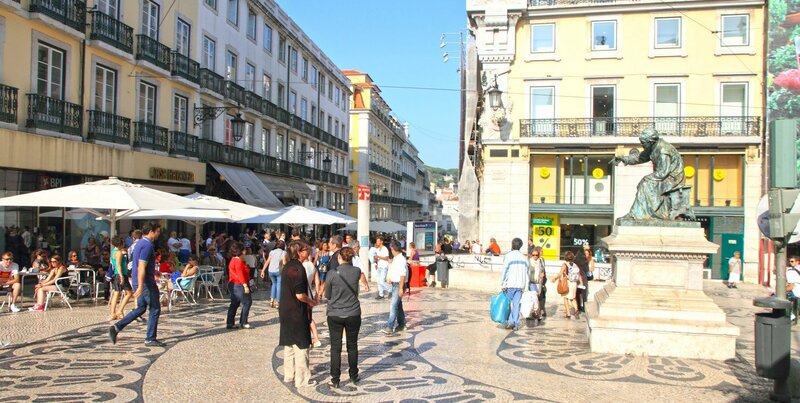 Chiado has the best shopping (after Principe Real), 最佳的咖啡馆, 和要做的事情. 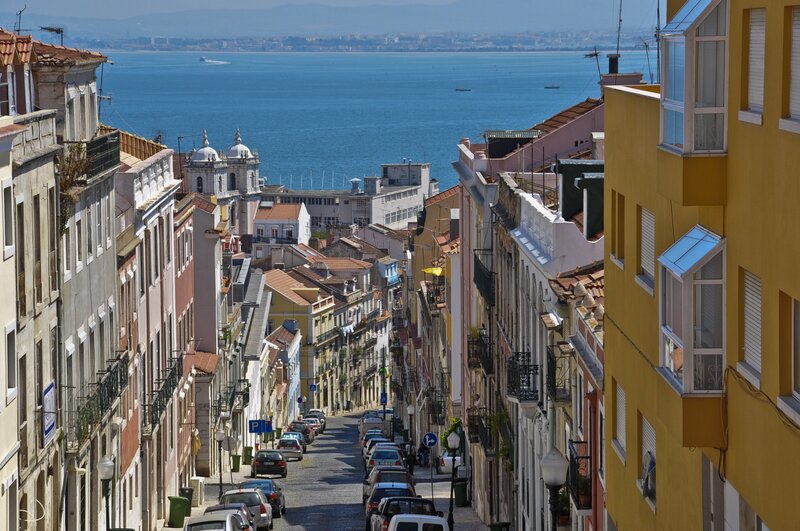 I would say this is the least “Typical Portuguese” neighborhood and most wealthy. When you walk around you will find lots of big shops such as Zara (on the low end), Helmut Lang (on the high end), FNAC, and even an Apple Store (it’s a re-seller – but works when your machine is not feeling well). 这将是旅游 365 一年的天，但你可以找到街道，将不会. WHO住在这里: Wealthy and upper-middle class locals and foreigners. There is a lot of construction down by Mercado Riberia (Time Out Market – sort of debatable if this is Chiado or Cais do Sodre) which will bring a lot of new units into play over next few years. 这完全是虽然一个集中高端市场. 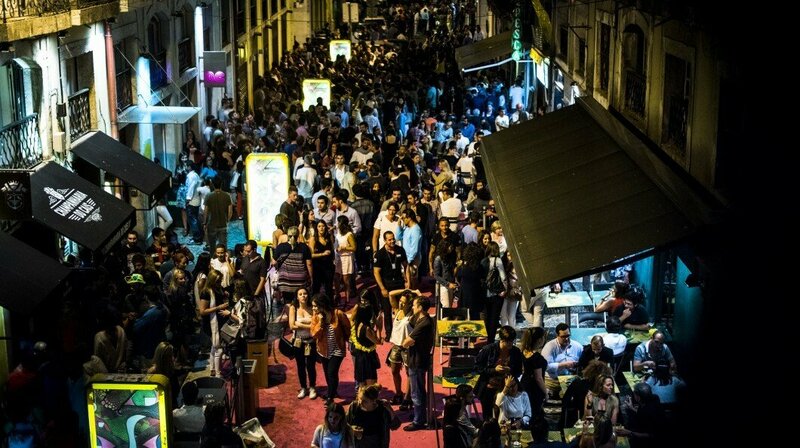 PROS: Chiado is super walkable, 有一个易于访问的夜生活, 和成吨的餐馆. 我爱地区, 但它确实得到一个有点多在白天的时候游客都达到顶峰. 即使有游客就从来没有感觉像铺天盖地的阿尔法玛或向下拜萨. 缺点: You might need a loan to get an rental. 价格高. 餐厅用餐会 15-30 欧元和帝国会 3 欧元最低. 所以准备. 是什么感觉: Parque das Nacoes is the former site of the World Fair of 1998. 它已成为欧洲最大的重建项目之一. 这是从里斯本所有其他街区形成了鲜明的差异. 这个地方是超现代的感觉有点像长岛市的感觉如何 15 多年前. 这里的建筑是一流的，有很多的事情，如果你有孩子做. WHO住在这里: Upper-class expats (mostly Chinese Gold Visa holders who actually don’t live in their flats). 这是一个真正的鬼城，只有当你有一个大的贸易展跳起. PROS: It’s quiet usually except when a big trade show happens. 有一个大的火车站，它使您能够访问所有里斯本, 而且其他城市在葡萄牙. 你不会有停车的问题在该地区的公寓是真正的现代化. 有一个叫瓦斯科达伽马大商场，也是一个桥梁的权利他们给你在伊比利亚半岛驾驶访问处处. 缺点: 30-40 根据交通从任何分钟路程. 建筑很多都被中国黄金签证者买下了, 所以你可能住在公寓里，从来没有看到你的邻居. 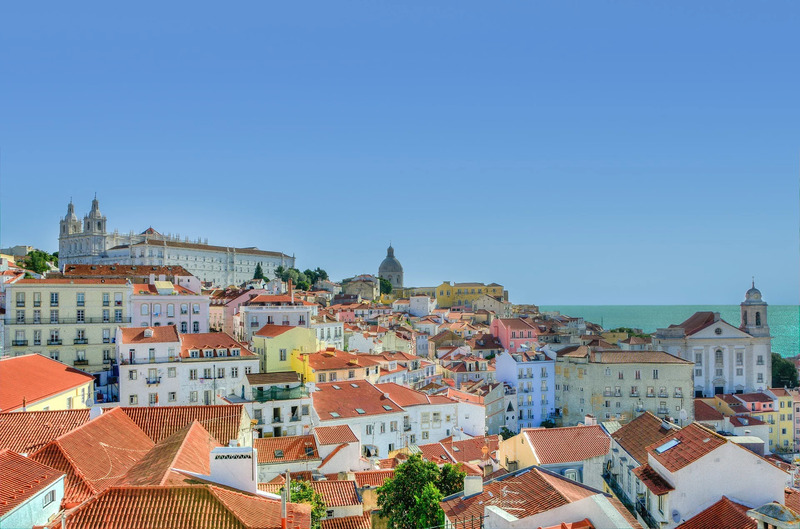 是什么感觉: This is the Greenwich Village of Lisboa/Lisbon. 这是一个非常好的社区与高档商店和餐馆. 公寓内设有电梯，通常城市和河流的美景. 该地区是非常友好同性恋, 艺术家友好和方便的购物狂. 这是一个有点高端但不超限像其他几个街区. WHO住在这里: Middle & upper middle class. 该社区是非常快乐友好，也很友好家庭. 你会看到很少领取养老金/退休人员，因为住房的成本较高，在这里比在里斯本的其他街区. PROS: There is a great park along with the botanical gardens in the neighborhood. 这是超级容易到处走，因为它是在山顶上. 体面的大小现代化的公寓很容易找到. 缺点: Lots of small hills so be prepared to walk up and down. 许多公寓正在建设中，如果你是在小街这样会吵. 价格较高的在这里比在里斯本/里斯本最多的地方, 但价格却值得投资. 由于这个区域被游客发现的地方会开始得到堆满了旅行度假. 所以准备. 是什么感觉: This art district that has so much charm it’s crazy. 我在这里住了3个月，并会见了养老金领取, 艺术家, 和expat在该地区. Streets are typical stone (they are horrible for your knees and back), but you are also a “stone throw away” from the riverfront. 该地区有相似的阿尔法玛, 但较少有风的街道，少了不少游客. 它仍然是游客不是很多网站看到未被发现. 这是一个居委会. WHO住在这里: Lower middle class with a few very wealthy people up in Lapa. 你会看到一个家庭拥有整个豪宅旁领取退休金/退休人员住在2间房子. PROS: No tourists or people from the cruise boats. 有一些非常漂亮和现代建筑起来拉帕. 这个社区是十分社区中心, so you will know your Talho (butcher), 市场业主, 餐馆老板, 甚至清洁人员. 在每个街道，你会发现 3 women who look out window every few hours to see “what’s going on”. Make friends with them (they will hook you up with pastries)! 缺点: Lapa is quite expensive because of the high rise building and large format homes. 桑托斯提供了更多的实惠，但价格都在跳，因为法国社会已经购买了大量的公寓楼转换为度假或翻转. 你可以听到周围的法国在这一领域的每一个角落. 是什么感觉: This local district that has a growing artist and startup vibe happening around it. Since it’s by the 25 de Abril bridge it’s easy access south to Alentejo and Algarve, west to Belem and Cascias and east into the heart of the city. 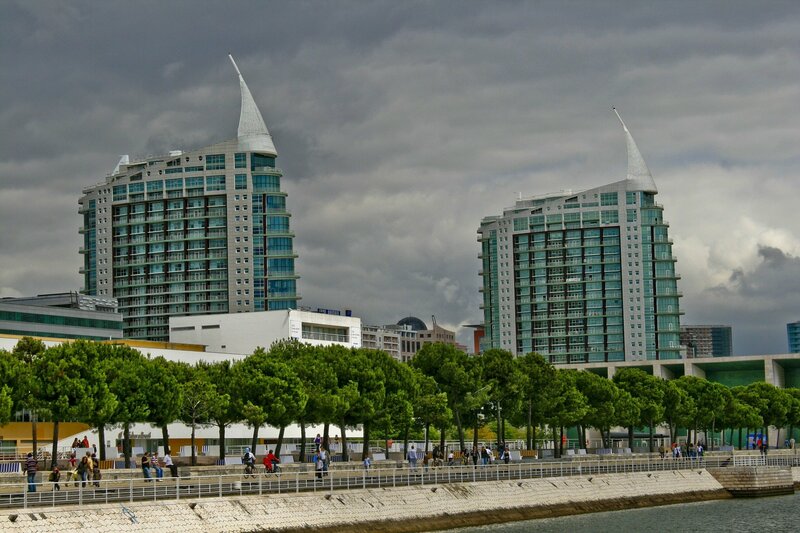 Many apartments are on the hill so your views of the Tejo river is immaculate. WHO住在这里: Middle class with a mix of artist lofts. On the west nearer to Belem you will see some wealth buildings in shambles looking to get renewed. 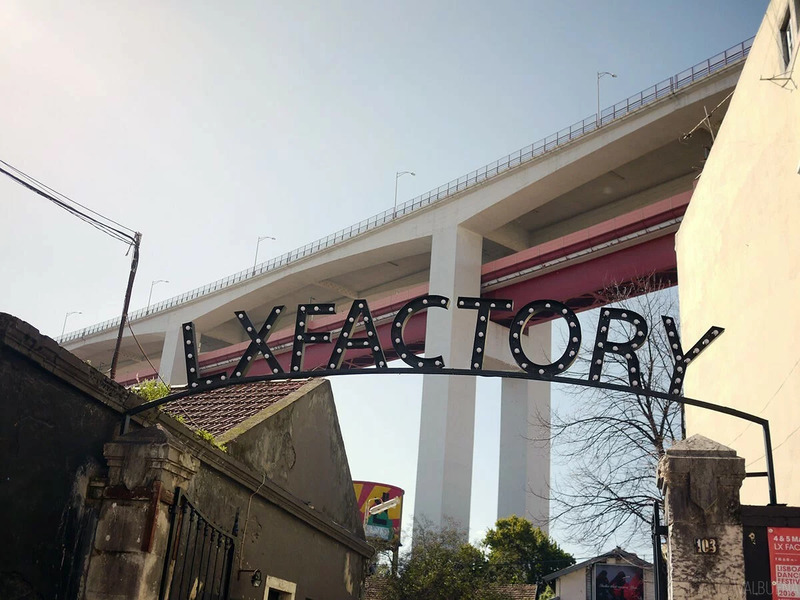 PROS: LX Factory which is below the 25 de Abril bridge is a trendy “DUMBO” type area. Cool shops, restaurants and bars. There is a big startup/co-working space inside also. Tourists tend to inindate the place during the day but during the evening everything gets quiet. 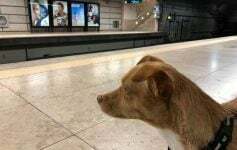 缺点: You would have to take the train, bus or tram to Cais do Sodre to get to the main metro. The other alternative would be to drive but parking is pretty crap in Lisbon. 如果您对里斯本不同的街区有任何疑问或反馈/葡京, 请留下他们的意见. 我们喜欢听你的经验留在这个美丽的城市. 如果你想看到更多里斯本, 检查出我的 Instagram的饲料. This will be a really handy guide to have bookmarked when I finally get to plan a trip to Lisbon. It’s been on my bucket list for awhile. Thanks Melissa. It’s really one of my favorite cities. I think you’ll fall in love when you visit. I loved your analysis of the neighborhoods. It is very detailed and helpful. What is the purchase price in Príncipe Real and Santos & Lapa ? Principe Real is one of the most expensive neighborhoods in the city. It’s wonderful, but it is quite trendy. For a 2 卧室, you should expect anywhere above 450K Euros (depending on the condition). In Lapa, a good 2 bedroom can cost between 500k-1 mil…some fixer uppers are going at about 275k euros. The market is rising quickly here, so it is not as good an investment as it was say 4 多年前, but it is still significantly cheaper than say Paris. Hope this helps. Prices in Lisbon are crazy. Price per square metre of new apartaments in the city centre are set at 8k-10k per square metre which resemble Paris prices. It’s just a huge bubble that will explode soon. 也, average salaries of 850 euros are kicking locals to the outskirts and this is creating social tension. One thing that you forgot is that airbnb is so liberal over here that you can buy an apartment now for 500k-1M to find out that your next door neighbour has put his apartment on airbnb. Expect noise at late night and strangers passing by your door. The prices of real estate are definitely getting to a crazy level, particularly for natives who get a really low salary and very high taxation. I completely agree with you on the market at least leveling out. Particularly if Brexit finally happens as people from the UK won’t be able to do things so freely as they do now. I guess I got lucky with my building, there are no Airbnb’s in my place (and I have been here now over 2 years)…but I also don’t live in the heart of the city. 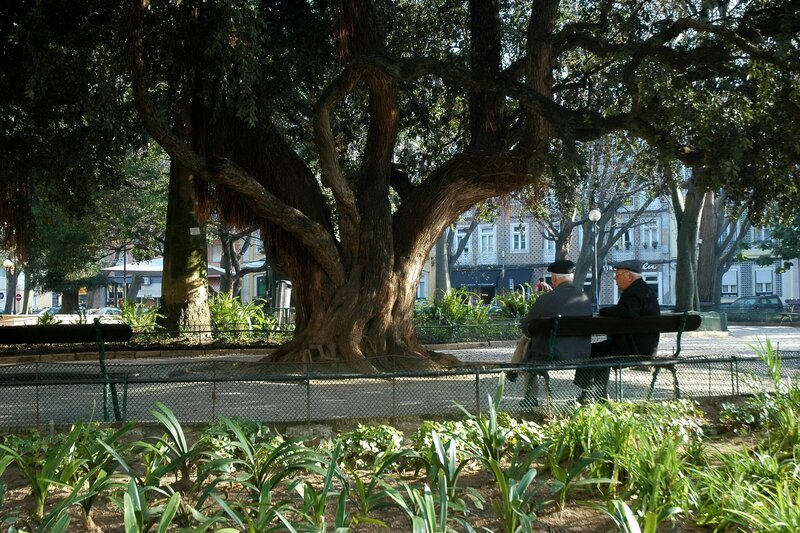 For me the issue for Lisbon is the speed at which gentrification is happening. This happened in NY, where rents are insane. Then people started to move to NJ, 布鲁克林, and Queens driving those prices up…but the eventual result is that Brooklyn blossomed…but NY had a lot more time to adjust to those changes. Lisbon seems to be on everybody’s lips today.